Our staff are second to none, many of them have been with us for over 20 years and this longevity, skills development and passion is seen consistently through our TripAdvisor reviews which are brimming over with incredible comments from our guests. We are so proud to have such a strong, loyal brigade of hard working, fun-loving staff and we try to encourage them to improve their skills with frequent in-camp training. Over the season we have endeavoured to improve the skills of our staff in three main areas. At the beginning of the season we offered all our staff Fire and First Aid training. Knight Support, a highend security firm, visited each camp and gave direction to our staff in Kiswahili to ensure no information was lost - it also included hands on training of using extinguishers on different types of fires and also assessing medical issues. All staff received certificates for their training. Working in such remote areas these two skills are essential to our camp and our guests' safety. We offer this training every two years to ensure our staff are well versed in emergency procedures and we have all our fire fighting equipment checked every 6 months as per regulation and our first aid kits up to date. Just recently we have also been lucky enough to welcome Nicky Bryden, from Kendrick Training, at all three of our camps. She has spent all day with our talented chefs in the kitchen updating their skills including education on guest dietary requirements, kitchen hygiene, food presentation and knife skills and of course a few new dishes which we are very excited about! In Jongomero future guests can look forward to lunch of pork mishkaki with homemade crispy noodles but make sure you leave room for dessert of a sumptuous peanut butter honeycomb pie! Or perhaps head to the beach of Ras Kutani and savour a buffet lunch of Thai fish cakes with coriander and sesame or zuchini mozarella and tomato tart with crispy roasted rosemary potatoes, avocado and basil salad, corn salsa and still warm spinach & cheese pull apart bread. And then for dinner try our new dish of lemongrass & coconut lobster with roasted butternut, fresh garden side salad and chunky home made chips. Mwalimu, our Head Chef at Ras Kutani said "I love cooking and always passionate to learn more so it's been so great to have Nicky in the kitchen! I have learned so very much and my whole team have received a boost from the training and we're looking forward to cooking these new dishes for our guests". 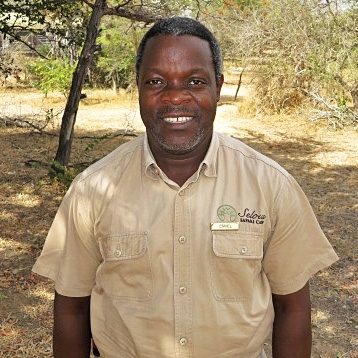 Thank you to Nicky as well as Knight Support for their time and enthusiasm - our staff are our greatest resource and here at Selous Safari Company we wish to nurture and treasure their skills, passion and loyalty which transfers naturally to ensuring our guests have an incredible stay at our camps.